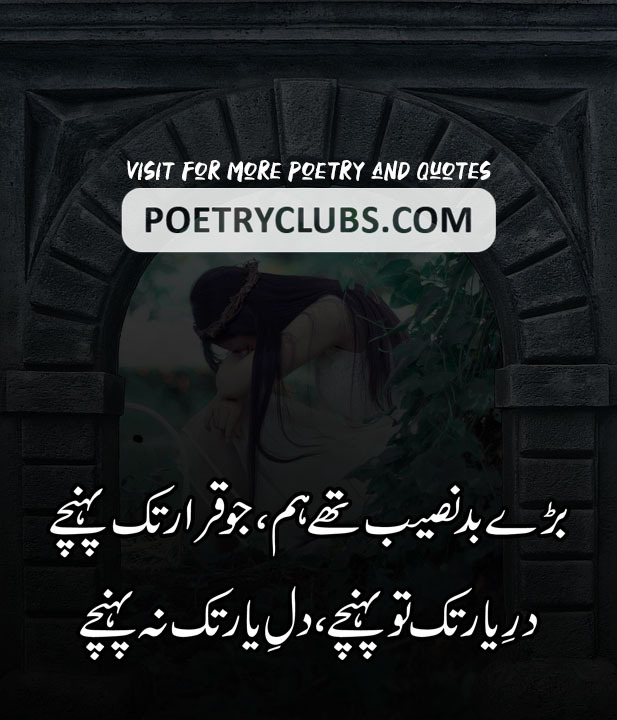 POETRY CLUB 2 Lines Poetry 2 Lines Sad Poetry Image Poetry Sad Poetry Dil E Yaar Tk Naa Pohnchy ...! Dil E Yaar Tk Naa Pohnchy ...! Bary Bad Naseeb Thy Hum, Jo Qarar Tk Pohnchy ...! Dar E Yaar Tk Tw Pohnchy, Dil E Yaar Tk Naa Pohnchy ...!